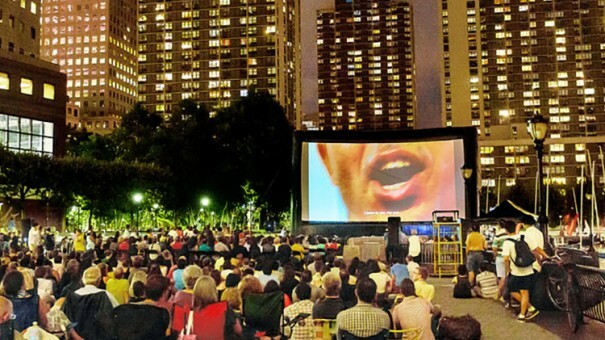 The days of the outdoor drive-in movie are back and this summer in Manhattan seeing a movie outdoors, caressed by warm breezes and sipping an alcoholic beverages is now possible. London’s Roof Top Cinema Club are the guru’s of this experience, and are pleased to exclusively announce the second year of local summer programming. 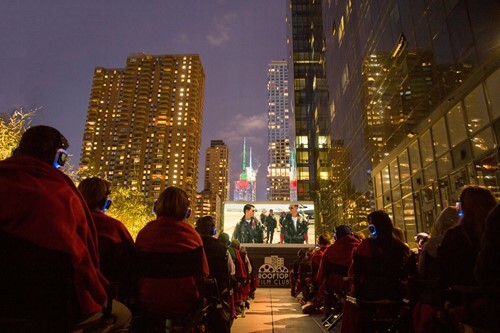 For the second year in a row, the movie screening will be held on the terrace of midtown’s ultra chic YOTEL, the largest outdoor hotel terrace in NYC this summer. This is truly the perfect locale with great views of the setting sun and foodie inspired restaurant Green Fig and the upcoming Social Drink and Food. Their series commenced May 3 with the immortal Hollywood romance Casablanca and runs through September. Doors open at 6pm each night. 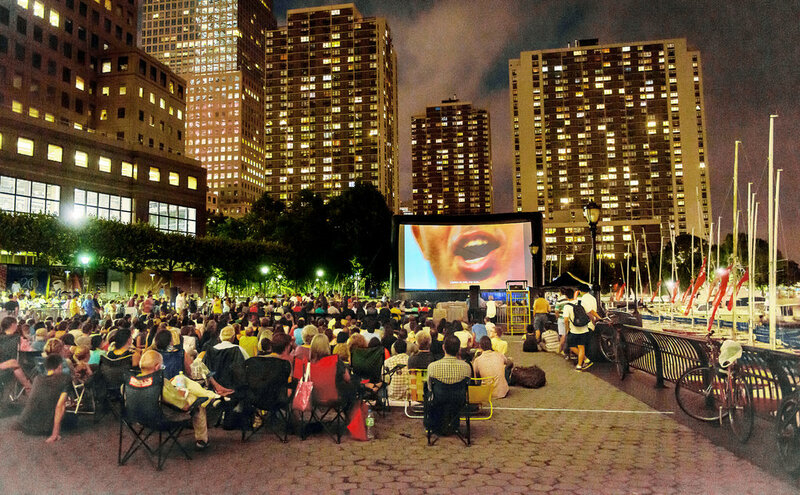 You have drinks, wait until the sun sets (generally around 8pm) and then settle into the movie with your own High quality earphones, comfortable seating, and an impeccable line-up of cult classics under a starlit summer sky… all this might make you forget you’re on a terrace smack-dab in the middle of one of the busiest neighborhoods in New York City! Admission tickets are available through Time Out NY and priced at $30 (plus a $3 booking fee), which includes a 187ml bottle of Moet & Chandon and a bag of buttered popcorn — everything that makes a date night true perfection! May titles include (expect more announcements in the coming weeks). The selections are terrific, ranging from die-hard cult classics (Blade Runner, Taxi Driver, The Big Lebowski), last year’s Oscar contenders (Room, The Big Short, Straight Outta Compton) and some of the most fun rom-coms ever made (Clueless, Dirty Dancing, Manhattan.) Click on each of the handy below links to buy tickets via Time Out New York. Sorry most of May is sold out but there are openings in June and July, so book fast before it’s sold out.